Discord Nitro has added four Halloween-centric games for players to jump in ahead of All Hallow's Eve, including Amnesia: The Dark Descent. Discord Nitro subscribers can download these four games now for free, so if you're already paying for the extra features in the popular chat client and digital game platform, you can jump into the games whenever you please. 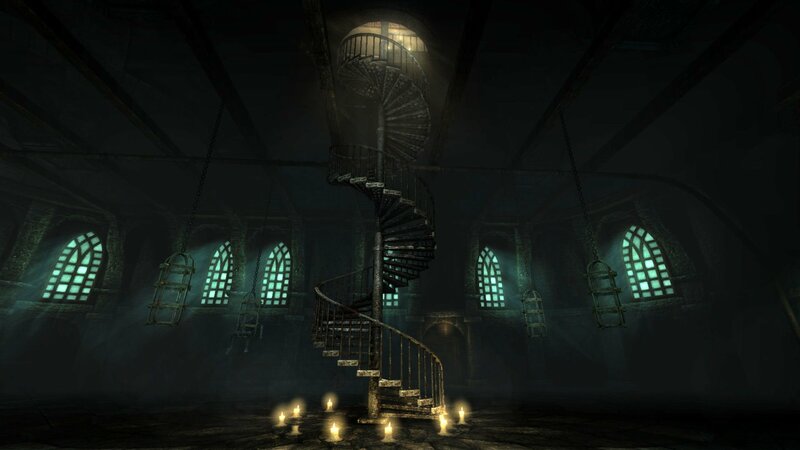 For those who haven't played it yet (years later) Amnesia: The Dark Descent thrusts you into the role of Daniel, a young man who's an amnesiac in a large castle. He has no idea what he's doing there, but one thing quickly becomes clear: he's not alone. If creepiness and jump scares are your thing, you'll definitely want to check this horror classic out. Crawl is full of randomly-generated dungeons rife with traps and beasts that other players control. When you get killed, another player takes your place and then they can take on the "crawl" instead. Super House of Dead Ninjas is an action arcade game with roguelite elements where you race against the clock to kill off your enemies in 30 seconds, heading from floor to floor. Finally, Monster Slayers is a roguelike deck-building RPG that lets you customize your own deck to build your own guild of slayers to take on enemies with. Check out the official Discord announcement here. Happy gaming!